I wish you well. 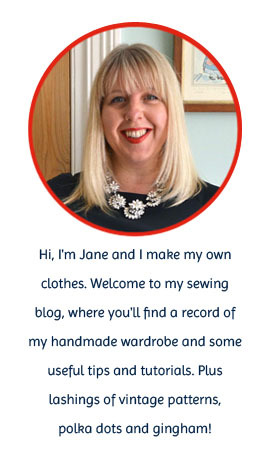 If you are like me sewing is my outlet, and you are so inspiring with your creations. I wish you the best and look forward to your return. I didn't know about your son jane. As parents we worry about all our children so I hope things get better soon. Best wishes, Jane, to you both. Hoping it will get better. You also have to make sure you take care of yourself in the process. Be blessed. Best to your family. I'm sure this break will greatly benefit you and you'll be very creative when you return! Best wishes to you, your son & the rest of your family. I hope he starts to get through this particularly difficult time soon. Sorry to hear that Jane. Look after yourself while you are looking after everyone else. Adding my good wishes fo you and your family. Take care! Priorities matter and we wish you the very best! " .....no other success can compensate for failure in the home." Good for you taking a break! We will be waiting for you, and will miss you. But I certainly understand that your family comes first. Good luck with what you need to do; hopefully we will see you soon and your problems will be solved satisfactorily. Best of luck to your son. Sending you some hugs and a nice cup of tea from across the oceans. Take care Jane, and I hope things go well. Jane you have done so well with everything and I wish you all the very best. I am a great fan of your blog and hope you will be back when ready. Sending you and your son good thoughts. Take care of yourself. Hugs!!!! Jane, please take good care! Remember to take care of yourself first so that you will be there to care for him. warmest wishes to all of you. Will wait patiently, knowing you are away because you are needed elsewhere. A Mama's gotta do what a Mama's gotta do! You'll hear the fabric calling you back when you're ready! Lot of strenght and love to you and your family! Take care, we will be patient! I will miss you, but totally understand. With my best wishes for these tough days. I will think of you, take care of yourself and your family. Love! You are in my thoughts. Take all the time you need. We'll be here when you get back. I hope things settle down soon for you Jane. In the meantime I will miss reading your posts. Missing you already, but family comes first. I hope things improve dear Jane. Nothing i can say that has not already been said. Will look forward to your return as and when. My very best wishes. Lots of love. best wishes for your family, and especially your son. Best wishes for you and your family, I hope things settle down soon! Wish you and your family all the best. Have faith that things will be better. Family comes first Jane. Your 'other' online family will be waiting for you whenever you come back. Take care & huge hugs to you all. Best wishes to you all Jane. I hope things improve for you and your son soon. Sending good thoughts and good energy your way! Wishing you and your family all the best. So sorry to hear you are having hard times. Sending hugs.